Everything by David OReilly and published by Double Fine Presents, the interactive experience where everything you see is a thing you can be, from animals to planets to galaxies and beyond, is now available for PlayStation 4 and PlayStation 4 Pro. Winner of the Most Fantastic award at Fantastic Arcade, and nominated for two Independent Games Festival (IGF) awards, Everything allows players to travel between outer and inner space, and explore a vast, interconnected universe of things without enforced goals, scores, or tasks to complete. Everything is a procedural, AI-driven simulation of the systems of nature, seen from the points of view of everything in the universe. Everything can be purchased from the PlayStation Store for $14.99 and can be wishlisted for PC, which launches on Steam April 21 with a 20% launch discount for the first week. Everything is about the quiet explosion of life going on all around us. This unique game experience is a simulation of reality – you can be the Universe or create your own – has been in development for three years. 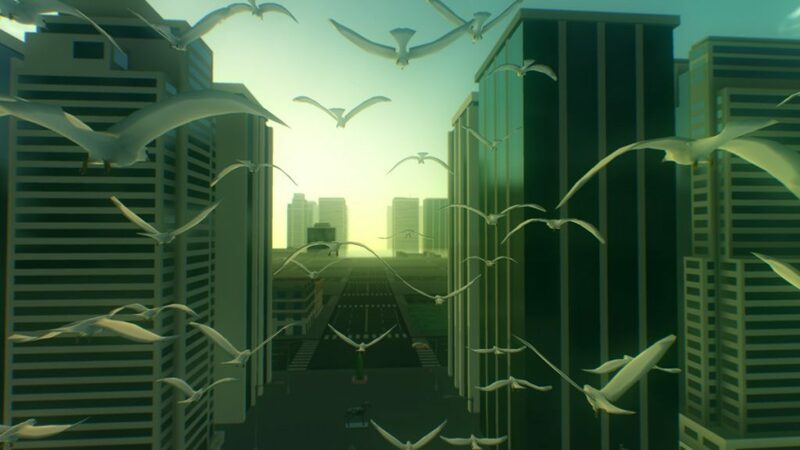 Everything takes place in the world we live in now and features one million+ years of gameplay, a rich musical score from composer Ben Lukas Boysen and thousands of playable characters that will give you a new perspective on life. Everything is narrated by the late great British philosopher, Alan Watts. Everything was created by Irish artist David OReilly in partnership with programmer Damien Di Fede and Sound Designer Eduardo Ortiz Frau. Everything is the second experience by David OReilly following Mountain, the ambient procedural mountain game, developed and released in 2014 for Steam, iOS. Everything is available now on the PlayStation Store for PlayStation 4 and PlayStation Pro for $14.99. For more information on Everything, visit http://www.everything-game.com. Double Fine Productions is a San Francisco-based game developer and publisher that makes games with a focus on creativity, characters, and fun. Since its founding in 2000, it has produced many award-winning titles including Psychonauts, Brütal Legend, Costume Quest, Sesame Street: Once Upon a Monster, Broken Age, Headlander and Remastered editions of Grim Fandango, Day of the Tentacle, and Full Throttle. Learn more about Double Fine Productions at www.doublefine.com and on Twitter @DoubleFine.